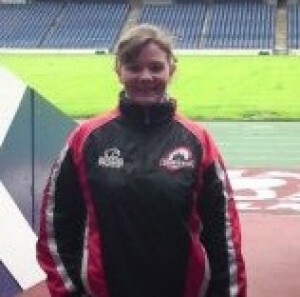 Charlene Cantwell is preparing for the challenge of a lifetime when she takes part in the Stirling Club Triathlon on June 6. And it’s not just the challenge of swimming (400 metres), cycling (14KM) and running (2.5KM) – Charlene has always had an issue with running and tends to have panic attacks at the thought of it. However, the training has been going well so far and she is now running the distance required for the event. Charlene plans to raise money for local charity, Hearts and Balls and hopes to compete in the next distance up in an event in September. Charlene (new committee member for ERSC), a lifelong rugby fan, chose the charity for its work to help catastrophically injured players and their families. There is still some way to go to meet her £1,500 target, and Charlene would be very grateful for any support from you. Visit her justgiving pages for more information on how you can help. It would be great for ERSC support!